The Sugar Plum Fairies are tired of dancing for nothing. To make matters worse, the North Pole is freezing, they have to wear skimpy outfits and their poor little legs get worn out quickly. When the Elvin Labor Union was formed, the poor little fairies were left out of any sort of fair bargaining agreement. The time has come for all of that to change. Everyone knows Christmas Eve is the best time to attack the North Pole. Santa’s getting ready to deliver toys, the elves are partying and the reindeer have finished playing their reindeer games. Can the legendary North Pole withstand yet another attack? Will Christmas come to a screeching halt? 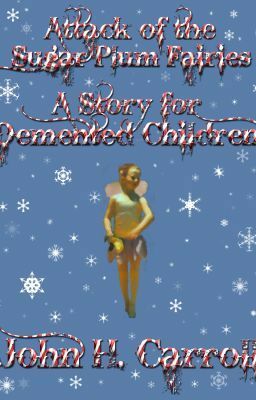 Join three stealthy fairies: Sydae, Araedae and Zannae, as they try to make life easier for all Sugar Plum Fairies. Will they be able to succeed in their mission? What’s happened to Santa? Will the elves stop the fairies from their task? And what secret is Mrs. Claus hiding from the world? This is a short story approximately 4600 words long, which translates to about 25-30 printed pages.